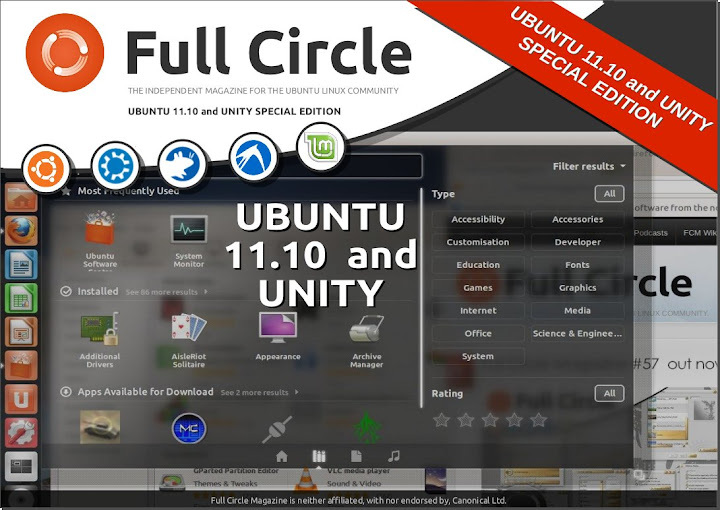 Full Circle Magazine 11.10 Unity Special Edition is available from the main site! Our on-going Specials are compilations of popular article series published in prior editions of Full Circle. For this one, we're out on a limb, running new articles, albeit on some familiar topics we've touched on, for example in the Q and A section of the magazine. This is also the first not overseen by our esteemed Editor, Mr Tucker. You are now at the mercy of the demented genius usually in charge (if you can call it that) of the Full Circle Podcast. While that show is enjoying it's Winter break, try not to be too alarmed by the random mind of the man who brought you Mallard Man and Northern Star Trek. How-To : Beginning Python – Part 30, LibreOffice – Part 12, Backup Strategy – Part 6, Screencast Your Desktop, and The Paperless Office. 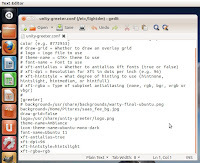 Linux Lab – Useful Investigative Tools. I Think – Which Mobile OS. The Wordpress plugin for Facebook isn't working for us on Everything Express; we don't know why, we can reset every day but it stops feeding soon after. So rather than push from Wordpress to our Facebook page, we've opted to pull posts via the existing Wordpress RSS feed using a successful Facebook app called RSS Graffiti. There are many RSS applications to auto-publish your blog’s content, but RSS Graffiti is one of the top apps for this. It can centrally manage all the RSS/Atom feeds you publish in each of your Facebook Pages. 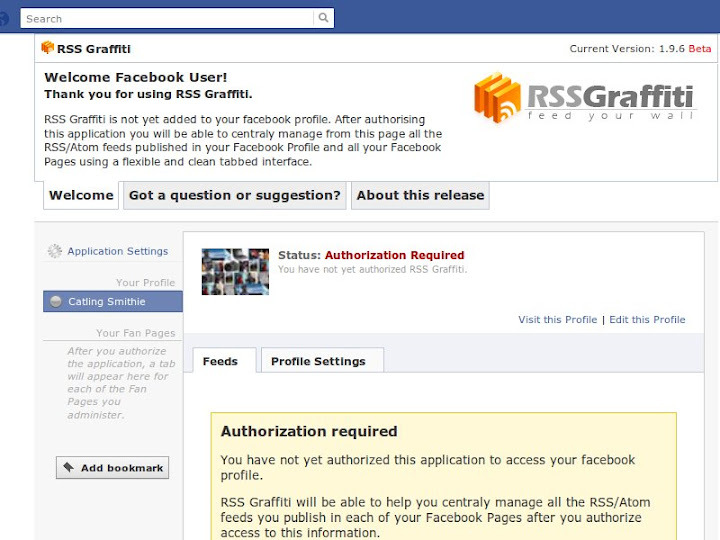 Once you authorise this application to access your Facebook profile, RSS Graffiti is a straightforward Facebook application to configure. It enables you to import several RSS/ATOM feeds and publish all of them on your Facebook Profile, Facebook Fan Pages and Facebook Groups, so its a feed aggregator for Facebook. Sometimes, crowd-sourcing good advice is the best way to go; several heads are better than one, right? 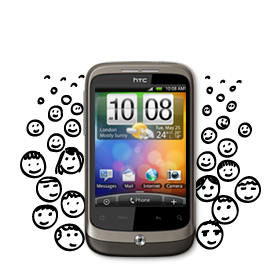 With kind permission of one of my mailing lists, herewith is some of the best advice for dealing with those crafty mobile carriers: how to get a decent deal on your next mobile phone. Yes, 24 months is the standard these days. However, most (Vodafone's website in particular) also lists contract lengths of 12 and 18 months as options (with 24 the default). Daniel L.
The architecture of the Systray changed in Ubuntu 11.10. Now it's the Notification Area. The majority of old, familiar application no longer appear in the tray, where you expect them to be; unless you fool it. 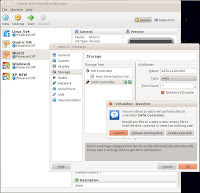 Some systray icons for QT-based programs such as Skype and VLC are automatically converted into indicators by sni-qt. 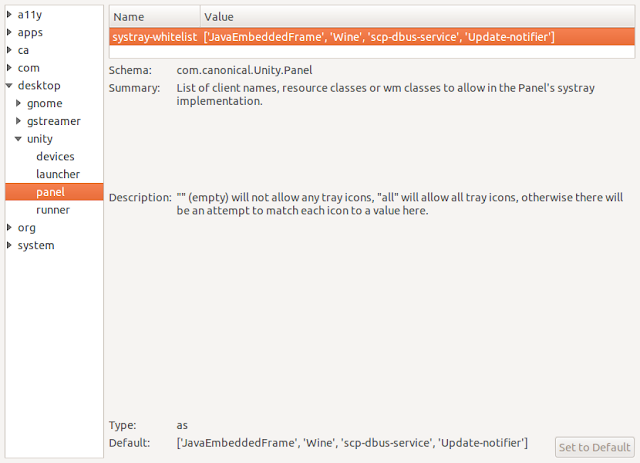 Wine, Java, scp-dbus-service and the Update-notifier are whitelisted by Ubuntu, but you can whitelist all applications. 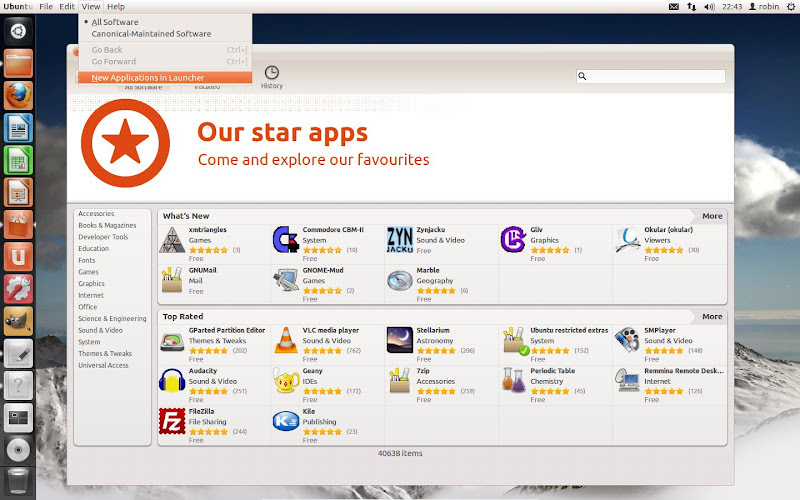 As of Ubuntu 12.04, Precise Pangolin, the Ubuntu Software automatically adds newly install applications directly to the Unity launcher when they are installed. Very convenient. Not actually useful to anyone but the novice who doesn't yet know how to pin items to the launcher themselves. The rest of us will get a Unity launcher bar cluttered with every application we install from Day One, and there's not enough space on that thing as it is. 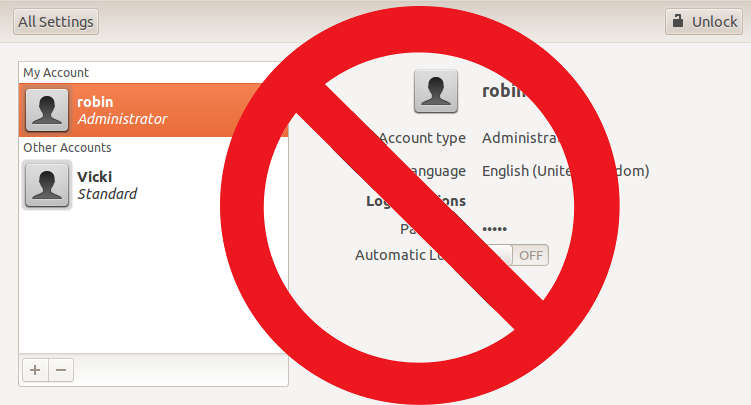 So the first thing you may want to do in Ubuntu Software Center is turn off that action. I foolishly thought that the grid of dots in the background to the LightDM login screen were a part of the background wallpaper. Wrong! The dots are drawn over the background, so you too can ruin any wallpaper you choose with the default grid. Why the Canonical design team let this particular and peculiar bit of visual clutter through, I can't imagine. Does anyone need a grid of dots on their login screen? Are we supposed to be measuring something? Free-hand drawing our own login windows? 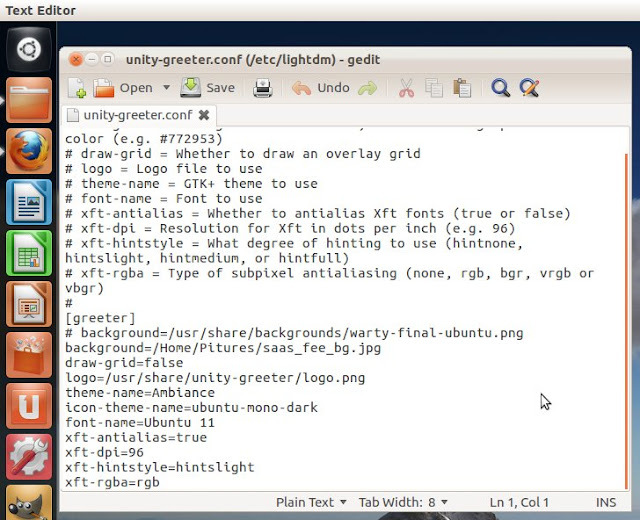 You can remove the dots, at least you can in Ubuntu 12.04. There is a magic setting in one of the LightDM configuration files. This month, we’ll discuss the moving, copying, and renaming of files. We’ll also take a quick look at how to delete a file, and (should a mistake occur) undeleting (or restoring) a deleted file. 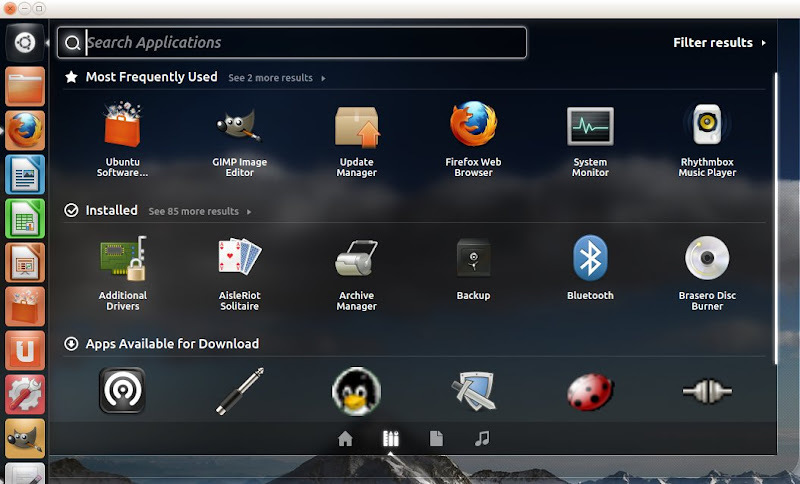 Another 'Marmite' design choice (you'll love it or hate it, indifference is not an option) in the Ubuntu Unity Dash; head for Applications and an entire chunk of the Dash is taken up with "Applications for Download" with a selection taken from the Ubuntu Software Center. It would be a great idea if it ever suggested anything useful (to me, anyway), but instead it just eats up space in the Dash I could use for other things. Like seeing the stack of favourite programs I already installed, thank you. In Ubuntu 12.04, this "Applications for Download" section in the dash can be disabled. Thus Mark Shuttleworth, the Chairman of Canonical, announced the next dev-elopment of the Unity interface at the start of the year. 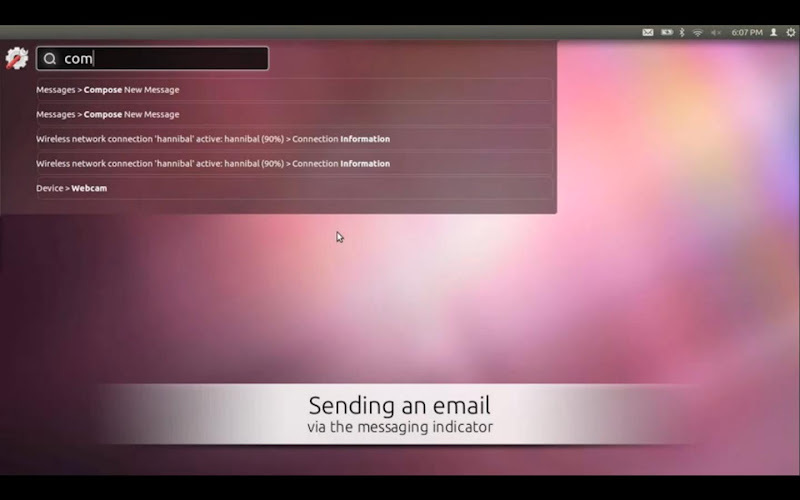 The HUD is intended to apply the Unity Dash search method to any Unity-compliant application. For this one, we're out on a limb, running new articles, albeit on some familiar topics we've touched on, for example in the Q and A section of the magazine. Or at least, news to anyone who hasn't worked with them for any length of time. Only this time, it's a reputable analyst from respected market analysts Gartner Group. Microsoft mainly wants to protect its lucrative Windows and Office monopolies, while maintaining platform lock-ins. Gaughan advised caution even with new products such as Office 365. Oracle products actually have very little integration, but it's aggressive sales force doesn't care so long as the estimated 90% of profits derived of maintenance fees continue to roll in, despite Oracle's reputation as being is "the most difficult vendor to deal with." I'm spinning some of this through personal experience, you understand. As a re-invented consulting services company, IBM wants to take over your IT strategy. The sales managers will sell in anything they think they can persuade you that you need on your roadmap. SAP confuses customers with pricing, apparently (although you could say the same for the dark art of IBM, Microsoft and IBM software licensing), evidenced by the SAP customers who ask Gartner for help figuring out SAP's pricing and licensing. Expensive technical migrations from R/3 system to the newer Business Suite has almost dried up, which means SAP's maintenance fees will go up to maintain it's revenue. Image: Hand Pushing Button by Twobee, FreeDigitalPhotos.net. 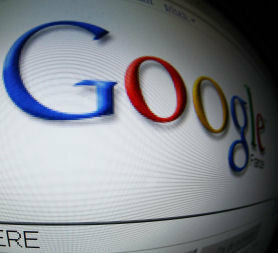 Good To Know is is Google's latest attempt to educate and inform the Internet-using public about privacy and on-line security. 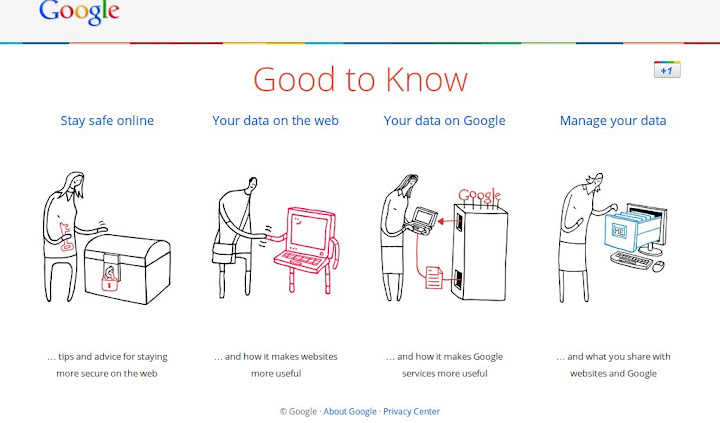 Specifically, Good To Know aims to inform users of the tools they can use to control how their data is used across Google's many services. The question is, do we look on this as genuine public service content or as a thinly disguised Public Relations puff-piece with more spin than the Magic Roundabout? Is this act of proactive public reassurance just to pre-empt the kinds of privacy lawsuits Facebook is fighting? Rant alert: Google+ naming policy remains the most unutterably dumb, un-safe, impractical and unworkable piece of junk Google ever came up with! The thing still insists on 'real names' but couldn't recognise a real name if you painted it on a missile and fired it at them. Lord knows what anyone outside the Anglo-speaking world does with this piece of junk. There is an appeals process that doesn't resolve appeals. I think I know why. Advertisers. 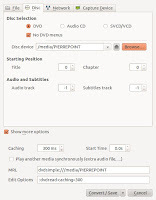 ...including a fantastic Convert/Save features which allows you to convert media between formats, including ripping DVD's. Note this may be illegal in some territories and we rely on your responsible behaviour. 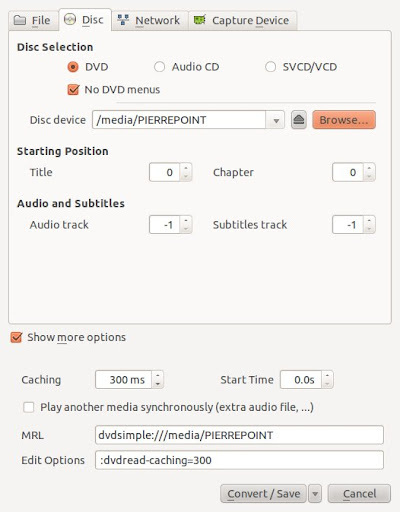 I always start or end with VLC for media conversion. It's much more usable than command line tools such as Mencoder and ffmpeg. Amongst the mixed bag of fail in Ubuntu 11.10 is the lack of a proper user and group admin tool. We had one in 11.04, you could do anything with user and group permissions from a graphical interface. Easy. Come 11.10, that goes away and all you can do is add or remove user accounts or change the account type (Standard or Administrator). Canonical: you upgraded something useful (nay, essential) out of existence! I'm still not getting on with Unity desktop in everyday use. 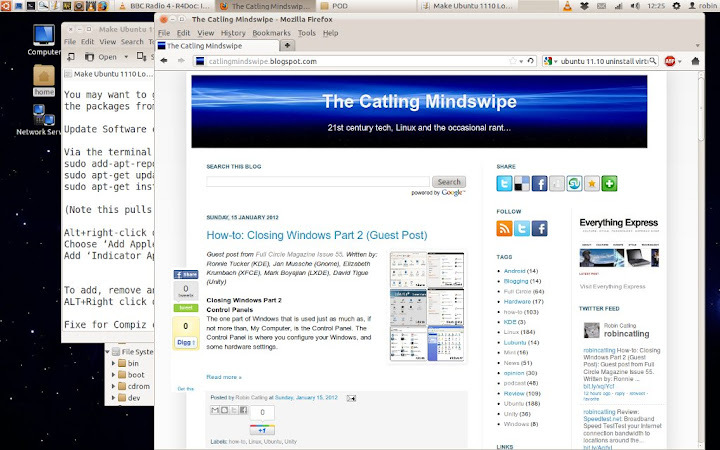 Xfce has a few quirks and disadvantages. Kubuntu is a culture shift too far. Sooo... let's drop back to the look and feel of Gnome 2! Panels and menus are fast and lightweight and do just what I need to do. They are also easy to achieve thanks to a couple of small package installs, which gives me the desktop shown. Firstly, install the package ‘gnome-fallback-session’ from the Ubuntu Software Centre. This one package does the hard work.